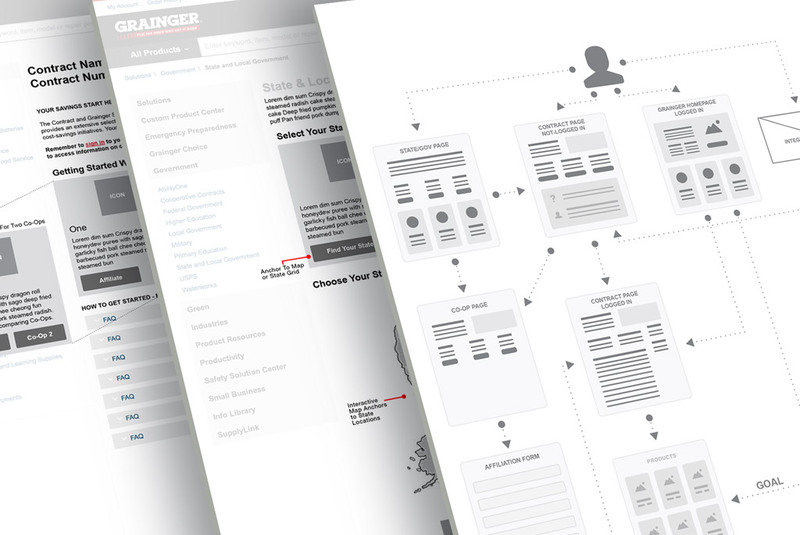 While working at Grainger I was asked to help strategize, plan, and design out a better user experience for the custom homepage banner and landing pages connected to the government contract offerings. The business goal was to create a streamlined experience for every government contract but also reduce the time to build out the assets. 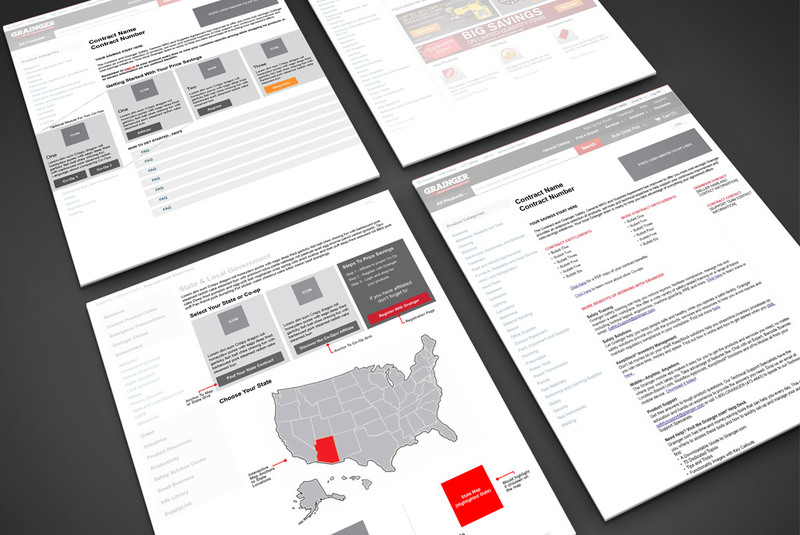 I designed an experience where the user would land on the main state and local government page, choose their state and quickly choose between a couple options based on where they were at in the process of securing a contract with Grainger. Every contract would then receive a similar site wide secure custom landing page and homepage banner that would share benefits, preferred pricing, and contact information. After the development of the templated assets, I created documentation and lead training initiatives for various business partners in the process to complete.